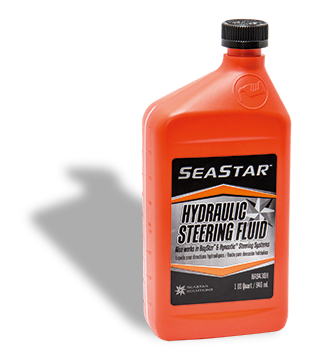 SeaStar/BayStar hydraulic steering fluid is formulated to provide the best performance for your SeaStar/BayStar steering system. A perfect blend of viscosity stabilizers, anti-wear agents and corrosion inhibitors will ensure maximum steering life performance. Safe disposal of Hydraulic steering fluid and componets. Please place contaminated materials in disposable containers and dispose of in a manner consistent with applicable regulations. Contact local environmental or health authorities for approved disposal of these materials.